For those angler's who are into fishing at night, want to attract bait, and have interior lighting that’s easy on your eyes, this Night Fishing Complete System is for you. 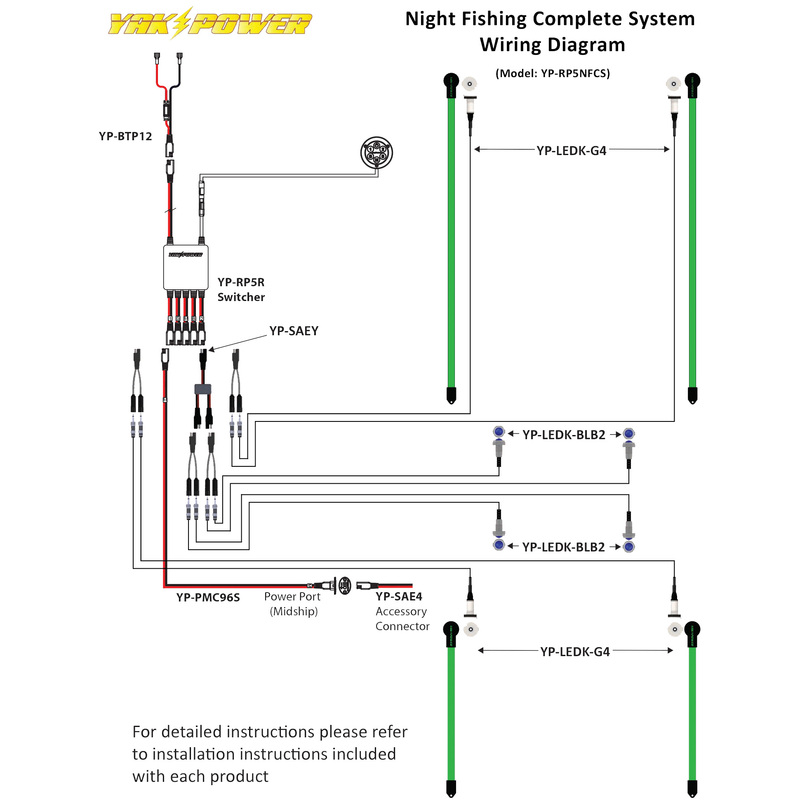 Featuring our patent pending Power Panel electronic control system, a battery terminal pig tail, an 8ft Power Port and Power Plug accessory connector for your fish finder, our complete 4pc GREEN LED Light Kit, and 2pr of our BLUE LED Interior Button Lights rigging your kayak for night fishing has never been easier. And, connecting it all together is quick and easy with our Yak Power plug-and-play connectors. Be sure to check and comply with local boating regulations and laws governing night fishing out of a kayak in your area. Yak Power makes it easy for you to take full control of your on board electronics so you can spend less time rigging and more time fishing!